A built-in hutch may be the best decision for your IKEA kitchen design, because it can add an ample amount of storage and still provide room for visual displays. This hutch area was done with a budget of $1,488 and ADEL doors in off-white. This gorgeous hutch also features a custom plate rack created with IKEA panels. The AKURUM cabinets from IKEA were discontinued by the manufacturer after the date this article was published. 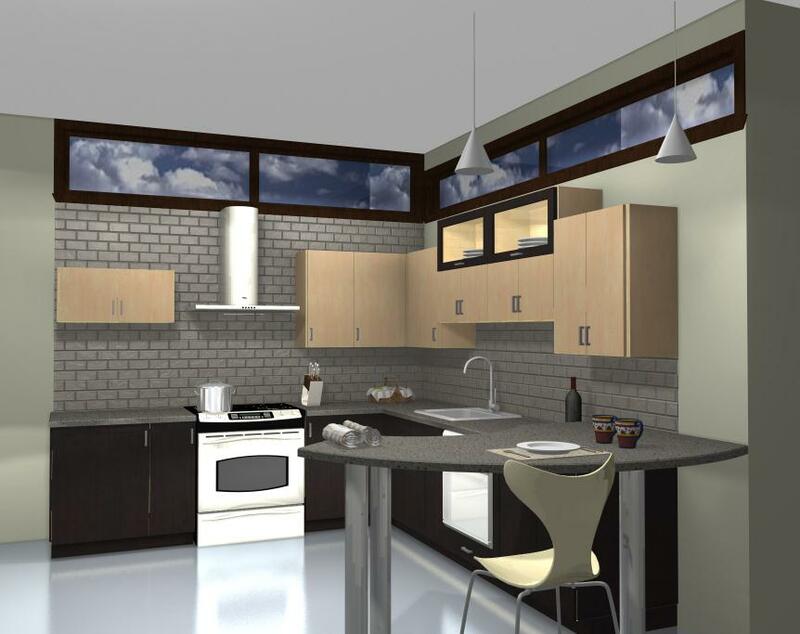 Stacked cabinets can create interesting design arrangements or increase storage in houses with higher ceilings. Typically, we stack a short cabinet on top of a tall cabinet but combining IKEA horizontal cabinets with standard IKEA wall cabinets can be equally effective. It all depends on the look you want and how the cabinet will be used. Our designers used stacked AKURUM cabinets to take advantage of the storage space provided by the high ceilings. Window frames, like cabinets, have gotten away from certain basic colors. Window frames used to be just aluminum and white – now they’re available in lots of the same colors as IKEA’s cabinets. Here our designers aimed to tie the ceiling window frames and the glass door cabinets in with the base cabinets to create a bit of symmetry. 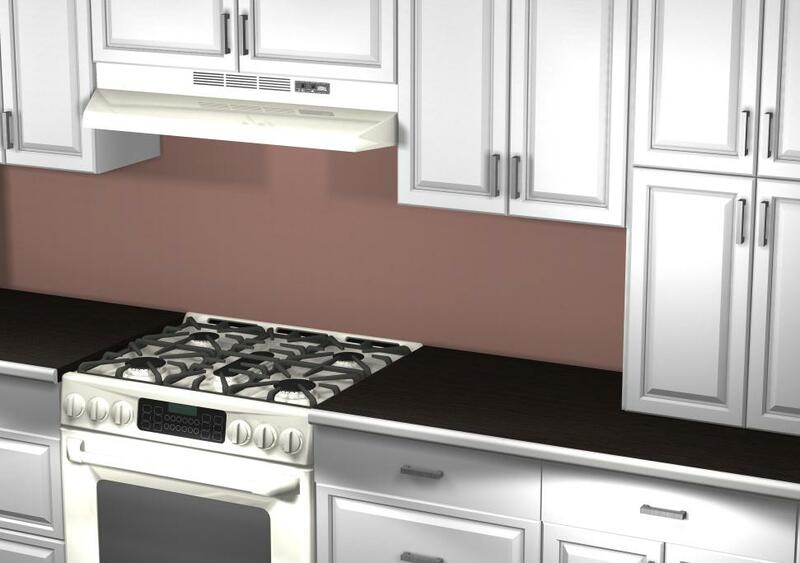 Nexus brown-black cabinets are designed below and birch above. Stacked cabinets were designed above the sink – and instead of using the suggested Aviskt aluminum glass door frames – Ramsjo brown-black glass doors are being used with birch frames to match both colors, accenting them even further by leaving the two cabinets slightly higher. 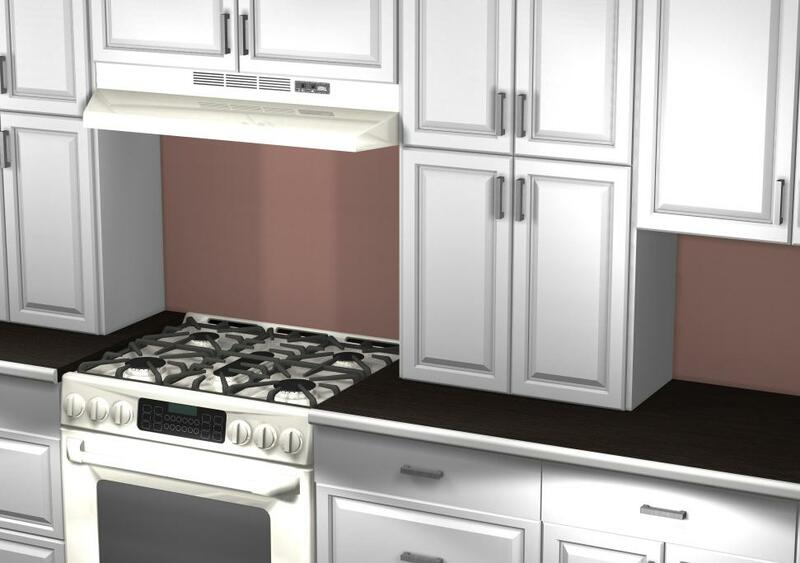 Forget the “3 R’s” from elementary school and remember the the “3 R’s” for the minimum cabinet space around the cooking area: Range Range Requirements. Splatters: There’s nothing worse than bits and pieces of oil, food and sauce jumping straight from the frying pan to the sides of the cabinets leaving a permanent mark and filth. Cabinet Damage: Cabinets should never be exposed to the direct heat from a range. It’ll weaken its structure and cause permanent burn marks. Uncomfortable work area: Stirring whatever is in the back burner is practically impossible without bumping into the cabinets. Reduced counter space: The cooking area requires sufficient counter space on both sides for preparation as well as to have an area to serve hot meals in. Get started with your own IKEA kitchen design today! We’d be happy to help! The ABSTRAKT doors from IKEA were discontinued by the manufacturer after the date this article was published. 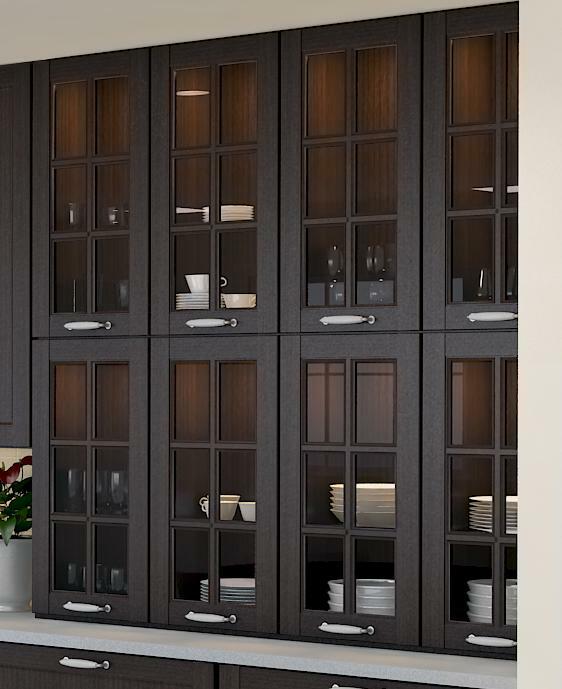 Stacked cabinets are a great way to take advantage of storage space in homes with high ceilings. First check to see the available height. 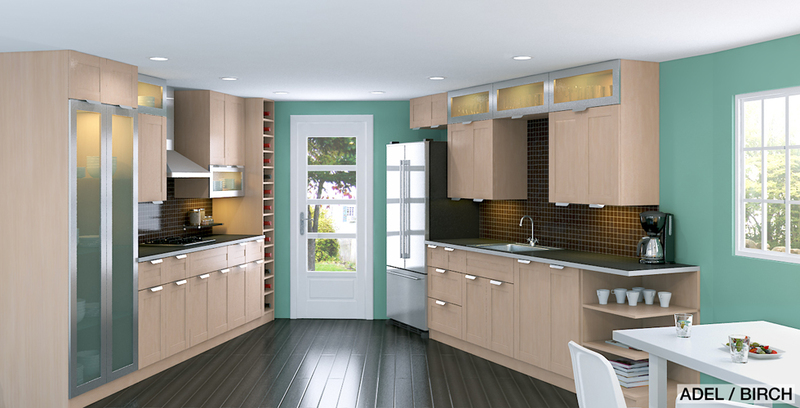 For ceiling heights of at least 97″, use 30″ and 15″ Akurum wall cabinets. If there’s at least 106″ available, then 39″ and 15″ will do nicely. Lots more cabinet space, not much more money. 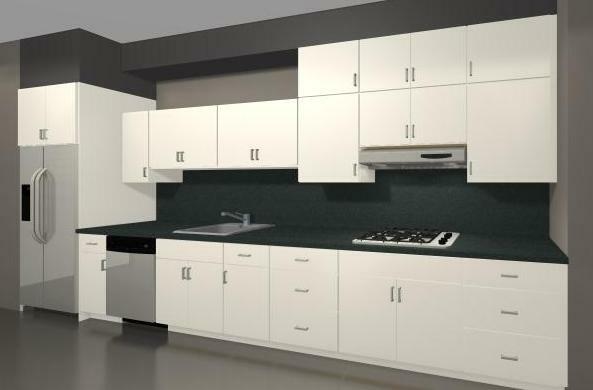 Horizontal Cabinets: with only one wide door, they’re great for contemporary designs and create a lineal look when placed above two door cabinets. Remember that the door lifts up, so to close them you might need a step stool such as Bekvam. Using Glass Doors: They look like display niches along the top row – especially if Ikea Stockholm are used as in-cabinet lighting. When combined with two solid doors on the top and a two door glass cabinet below they create a lovely four door effect. We could help you get an IKEA kitchen you love. Get started with your IKEA kitchen today.